Notice anything interesting? Describe as best as you can. you make the size of the manila angle BIGGER or smaller? 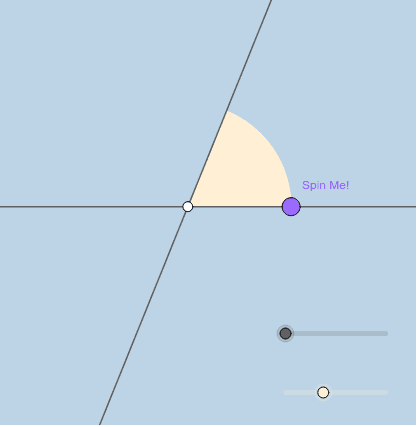 (You can change the size of the manila angle by using the manila-colored slider). Does your response to the question above change? Why? Why not? Describe.